If you enjoy exploring off the beaten path, Cube's Nature EXC is designed with you in mind. Their designers started with a brief to build a sporty, reliable hybrid bike with well-balanced handling and safe features: simply put, it should be a joy to ride. They delivered, and then some. 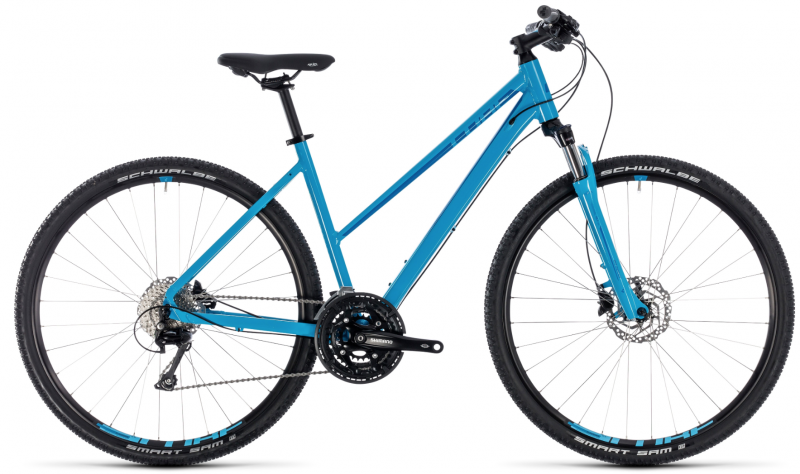 With its high quality, lightweight aluminium frame, lockout-equipped Suntour suspension fork and 10 speed Shimano transmission, this is a bike that excels. Whether you use it for fitness and fun, or as a workhorse companion to the challenges thrown up by everyday life, the Cube Nature EXC will get you there in style and comfort.